British and patrimonial economics are two different ways for two different countries to prepare for a confrontation with the European Union, where the former could cause a contraction if Britain leaves the European Union without an agreement, causing a pre-announced financial crisis by many economists and the International Monetary Fund. The British economy has a growth forecast between 2018 and 2019 equal to 1,5% in case of non-agreement and 1,7% if with another referendum the use of the BrExit financial arm is eliminated today the majority of British citizens would not want to. Here that 2% of contraction on the expected growth, could result in a financial loss of several billions of Euros with possible dramatic scenarios that would have repercussions on free trade and on relations with other European countries that would not be immune from the impact on their economies. 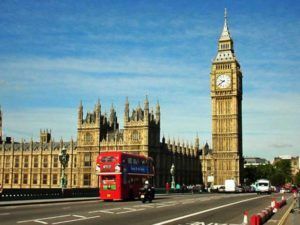 From the announcement of the BrExit, the British economy suffered an initial setback and then resumed during the negotiations with the European exponents, determining one of the most optimistic growth objectives that a Government could expect. It might sound like a mysterious counter-sense, but the approach of BrExit and the breakthroughs due to the imperiously imperturbable British diplomacy of British Prime Minister Theresa May, have determined this miraculous recovery of the British economy, allowing the country to return to run and grow, allowing to the UK to return to being the fifth world economic power that has never thought, even in difficult moments, to an Italian capital. What is different is unfortunately happening for Italy, with its stock exchange and the spread determined for the open announcements of the President of the ECB, a little 'for the threats of the European Commissioner Moscovici and President Juncker that They have come to the point of rejecting a financial maneuver that has not yet been written, a bit for the clashes with Italian Vice Premier, and a lot due to a welfare maneuver that will entail a major deficit and an amount allocated for growth below market expectations. Germany, by voice of the leading economist of the Bundesbank, hypothesized that the solution to the appalling Italian public debt could be resolved without resorting to the Save State Fund but drawing on the wealth of Italians themselves with an Italian asset, by halving the public debt with a a forced withdrawal disguised as a forced investment equal to 20%, which would in return give government securities with a very low interest rate, contrary to what is happening for the British economy. The spectrum of a balance sheet on Italy it has begun to shake the markets and the Italians themselves, generating a more than normal concern, also dictated by a Government that does not believe it has to deal with the European Union to improve the economic maneuver put in place. The OECD has pointed out that in Italy there is an increase in the concentration of wealth and a social inequality that is becoming more and more accentuated and which has become more acute in the last ten years of crisis. 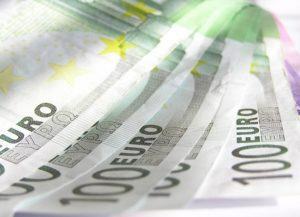 Taxation on Italian incomes is one of the highest, while inheritance taxes are among the lowest in Europe and it has often been proposed to increase the percentage to encourage greater revenue to the Italian State. What was reported by the OECD has attracted the general interest of the mass media which have clearly highlighted its arguments on the possibility of Italian assets to then see the information blurred because of the Italian political events that have done everything to nullify the warning contrary to what was done by the British government that put the wind in the stern British economy. The opposition of the various industrial associations has taken shape, recalling that there are already forms of mini-assets such as the IMU, Tasi, the stamp on current accounts and securities that can not certainly be related to market interests. But on one point both Germany and the OECD have found it easy to play, and that is on money present in current accounts and in the financial savings where, unlike the Italian real estate market which, in addition to having suffered a strong contraction, saw the sale of a large percentage of real estate, current accounts saw an increase in the savings of those who held them. The associations protecting Italians have begun to worry, thinking that in the very near future we will see the reintroduction of the IMU, the increase in stamp duty on the securities accounts and the concern that banks start to discount the risk of an increase to avoid find themselves blocked by the possibility of one Italian assets. That the risk is real is under the eyes of all, that the International Monetary Fund has also thought of a property as an ideal solution to heal a part of the Italian public debt is a symptom of an idea that floats in the minds of many, that the volatility of the markets may return to high to go to alarming levels is now ascertained, but that the Italian governments that have succeeded in these last fifteen years and have spoken too often about the strong propensity to save their citizens is also this thing ascertained and alarming. Contrary to what many thought and hoped for, the rating agencies have rewarded the efforts that a serious government is making in the United Kingdom to take Britain out of the European Union trying to reduce the damage and absorbing the markets' outflows which fortunately support this great country. The rating agency Fitch, confirming the rating in AA for the United Kingdom and its floride companies but imposing only a negative outlook, it has formally made it clear that this fair nation has a financial solidity given above all by never having joined the single currency: "the EURO" and keeping the pound sterling (GBP) that is supported by the Bank of England. 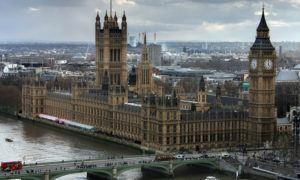 The speculation hovers however on the British State even if it is not yet able to take shape, strong that if within 29 2018 March should not be ratified an agreement with the European Union and arrive at "NO DEAL", while trying to wedge in a solid finance, it will be difficult to break up the European dream of the other Member States. Following the "NO DEAL", the conditions could be created for a breakdown of the customs system, of trade and therefore of free trade and a reflux on economic activities which are also very solid. The United Kingdom, supported by the support ofAmerican historical ally, would put in serious difficulty the European Union affected to date even by a possible exit of Greece that to recover and survive could choose this path after passing the Troika and being squeezed like a lemon, and a desired exit of Italy that does not he would never accept the conditions that were imposed on the Greeks. The Italian Government, for its part, with the maneuver presented for the 2019 - 2020 - 2021, oriented more to welfare than investment, is encountering strong resistance and failures that will lead to a head-on collision with theEuropean Union. The auspicious support of the Visegrad countries that did not take place during the presentation of the financial maneuver is certainly not a good omen for Italy and for the European dream that could be found between sanctions and Troika the spread in addition to the 400 share, the Italians' savings would be at risk of default and could lead the Italian government to capitulation on financial choices not in line with the investment and the elimination of IRES to companies that would result in an immediate industrial recovery. Fortuna has wished that after the downgrading of the Moody's rating agency, the economic and financial forecasts for Italy by Standard & Poor's have only been addressed to a negative outlook that does not compromise the Italian economic stability without penalizing the country with the classification of "Junk" titles, junk titles. Italy's solvency is also dictated by an enormous primary surplus enjoyed by the State, thanks also to the saving habit of Italian citizens with their current accounts and their financial investments exceed double the public debt of the Bel Paese. The solvency and solidity of Italian citizens should not be the status and the confrontation with the European Union as it is precisely the Italian citizens could see themselves volatizing part of their savings to recapitalize Italy and bring the public debt back to zero. The move launched by the Italian government, at the moment, weighs on the competitiveness and growth that is eroding investor confidence day after day and soon could affect access to banks' credit, putting industrial sectors in crisis and also affecting Italian citizens in costs of banking transactions and higher interest rates that in the long run could break the European dream. The Keynesian economic maneuver does not conform to the standard that would have been expected as it should have pushed on investments and then turned to the weak class of the country, while it was oriented for a 80% to economic aid to the weak and to an 20% towards a principle of investments. The solidity of Italian banks is certainly not questioned but, contrary to what happens for the Britain, Italy no longer enjoys the support of the Bank of Italy and can no longer fight sovereign money to support the economy, making it probable to further bank recapitalization to support a spread which is eroding the value of the BTPs forfeited in the banks' coffers. The volatility of the markets, provoked above all by the tensions and the exacerbated tones that have arisen between Italy and the European Union on the budget law, will have to be lowered and dissolved in order not to break up the European Union itself or at the exit of Italy that no one hopes because after the exit of England would trigger a financial storm not easily controlled. Opening a foreign bank account is a perfectly legal operation for both Italian and European legislation but must be carried out with the utmost transparency and under the expert guidance of a financial advisor. The help of a professional is useful in order not to incur problems always lurking and to be facilitated by the laws that protect banking transactions between States. It is useless to say that opening a foreign bank account does not exempt us from declaring its profitability and its own foreign current accounts to the tax authorities, but rather, is the possibility to protect the capital diversifying them from the banks of the State of belonging where often, due to particular historical periods, they could be at risk. The decision to open a foreign bank account can be advantageous when there are fears about the soundness of the financial system of your state and can lead to different choices that can guarantee us even greater profitability by reducing the risk, such as theopen a company abroad that it actually operates internationally, investing part of the capital in investment funds, the cost of much lower banking transactions and a greater possibility of foreign investment, reminding us that profit is not a crime but an advantage for those who make it. In the European Union, all citizens of a Member State have the right to open a bank account, with a few exceptions such as Britain, which has given a strong hold to this practice, allowing it to be opened only to resident citizens. The transfer of sums must always take place following the banking process in order to allow maximum transparency and traceability, but above all, respecting the legal regulations that will protect the capital to respect the unassailable tax evasion or funds of dubious origin. In the moment in which the operation of opening a foreign bank account is carried out, regardless of the importance of the paid-up capital, we will still have the obligation in the income tax return, to fill in an accountant or fill in the foreign current accounts ourselves and in the case of Italian citizens, the RW box PF panel declaring the average stock of the year, the State of belonging of the bank and the name of the bank where the capital is deposited, possibly to make it even more transparent, we can safely declare the bank details (no one will be able to withdraw anything) and we will not have to forget to pay the Euro 34,20 fee for each bank account held, due to the Italian State if we are citizens resident in Italy. All transactions of choice of banking, of any investments and of opening a foreign bank account, if carried out by a professional in a correct manner, will allow the respect of the maximum legality adapting better to the real needs of the client. 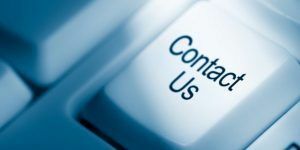 The officials of SHADOIT BUSINESS CONSULTANCY LTD, can help you in the various operations starting from a serious and in-depth advice to be sure that the need to open a foreign bank account and / or any investments, actually derive from a calm and certain reflection that allows a value added to the customer's investment for protect bank savings and assets Client. Opening a foreign bank account is also convenient for Italy, which is going through a difficult period right now. If we look on the internet, we will also find footage of the Italian deputy prime minister Salvini and the economist of his party Borghi, who openly say that if we leave the euro for the return to sovereign money, it should be kept secret until the last moment and this would mean that on a Friday the Italians will go to sleep with the Euro and will wake up with the account frozen for 30 days and only later will realize that their savings have been converted into Lira and moreover devalued by a quarter and that is, the value of its assets would be reduced from 50% to 25%, an Argentine scenario if not Venezuelan. Fortunately, the Italian apocalyptic scenario many can prevent it by opening regular bank accounts abroad and moving their assets legally, following the laws in force in their state. The exit from the Euro for a founding country like Italy would be an apocalypse that has already been taken into consideration by the European Central Bank, which in the 30 days, would attack the Italians' savings, without the Government being able to do anything but proclaim that would fall into the void, to recover the value of the public debt purchased by the Central Banking Institute with quantitative easing. Open a foreign bank account is still a good prospect for their savings, knowing that you can administer it with the Home Banking (Internet Banking), you can then make all the wire transfers that need and use your money by means of Debit Card (Rechargeable Credit Cards) also having the possibility of any flash investments that usually with the bureaucracy of their banks is prevented. 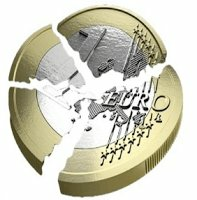 The exit from the Euro would involve a disastrous scenario for Italy, contrary to what will happen to Great Britain, having always kept its own GBP currency (Great British Pound) and its Central Bank (Bank of England) which it will avoid with the BREXIT the devaluation of dwellings (real estate), the devaluation of companies and other economic financial disasters to which other countries would face. With the downgrading by the rating agencies of the Italian public debt is approaching the default spectrum for some Italian financial institutions of which, obviously, it is a lottery to guess who will be the first and the savings of Italians would be at great risk. Nowadays the security of investments for a financial market always in fibrillation becomes necessary and necessary is to understand how to make your own safe and secure heritage. Contrary to what happens for other countries also outside the EU, Italy has a poor financial culture and its citizens, after many announcements in the last twenty years by successive governments, have unlearned the elementary regulations in force both international level, but above all in force in the European Union and Italy itself having now the fear of opening a foreign bank account and wondering about the perfect legality where we always reiterate that it is a perfectly legitimate thing and there are no limits or preclusions if made to the sunlight and above all under the careful guidance of an expert in banking and international policies. Opening a foreign bank account is a valid instrument to feel guaranteed in the event of default and loss of value of Italian BTPs by securing their savings, also benefiting from improved profitability, lower expenses and possible foreign currency investments. One thing that is often not thought of is that the constitute an English company and the transfer of own assets as a corporate fund is a perfectly legal operation and indeed, it can be considered an excellent investment in periods when personal funds can be attacked or by financial crises or possible foreclosures or by strange taxation or bankruptcy banking that could lead to financial disruption, and diversification on different financial institutions that open a foreign bank account to a company, are normal and perfectly legal, dividing funds into banks located in different states in order to have maximum peace of mind . It is normal that possible checks can take place, but in this case, it is enough to have carefully kept all the documentation that allows to demonstrate the lawfulness of the various operations carried out in all regularity and transparency and no one can find anything to object. For those who want to work personally, not importing companies, we are always remembering the evasion of IVAFE, that is the property tax payable for financial assets held in foreign countries with the simple declaration and fixed payment equal to today, to € 34,20 which constitutes an extremely acceptable sum for anyone and that protects from any fiscal retaliation. Opening a foreign bank account serves to secure against a bank risk in your country and not to illegally transfer your money or generate black funds, you must never be enchanted by fantastic promises that nobody can ever keep, the purpose of a bank account abroad must only be for investment and protection of its assets. All banking operations are carried out with Internet Banking or better, what many know as Home-Banking, with a debit card (rechargeable credit card) with costs that are much lower than those usually charged in the banks of the just country and with the simplicity of managing a common bank account, as well as often, be able to administer it from their mobile phone. Unfortunately, in this period of downward economics, a creditor may want to seize a debtor's surplus and could do so even if the debtor has a foreign bank account, but nothing removes the debtor from investing in the funds of an offshore company or foreign-European or invest in one LLC company American, making assets unassailable, especially since the non-EU current accounts make the recovery operation almost impossible. BTPs and current accounts have always been tied to a double thread because with the risk for the Italian rating being downgraded to "rubbish" securities it is overwhelmingly incumbent the run of investors to sell, worsening the already weak recovery of an asphyxiated market even led to fear returns above the 3% for expiration to 10 years giving a negative signal to the international markets. The crisis so feared for the sovereign debt that will overwhelm the euro in the 2019 and that should, and here the conditional is a must, bring the ECB to intervene in the fall to prevent the breakdown and the exit from the single currency of Italy will come determined by the rating agency Moody's which will review the judgment on the Government Securities (BTP) following the analysis of the 2019 Stability Law by the Italian Government, ie no later than October. 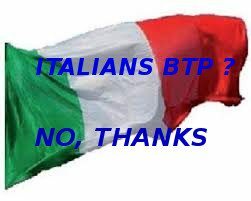 If the rating agency Moody's will express its negative opinion on the economic-financial works implemented by the Italian Government, Italy will incur a serious infringement procedure by the ECB which, with the current regulations, will no longer be able to use the "Quantitative Easing "and that is the purchase on the Italian BTP markets, quickly leading Italy's economy to a total paralysis and a probable default in contrast to Great Britain that following the BrExit, will continue to enjoy the trust of international markets. To date, the rating expressed by the rating agency Moody's is "BAA2" for Italy, that is two points above the "rubbish" BTP, which is already unnerving the markets fearing a possible downgrade with the relative escape of investment funds and also putting at risk current accounts and therefore the savings of Italians as many large banking institutions have in their heads countless State Bonds and risk bankruptcy. The risk of the downgrade is a future scenario with the bleak lines that would result in the rise of speculative funds, an explosion in yields and the loss of access to primary financial markets by Italian financial institutions and would be only the principle of a commissioner from part of the European institutions in the same way as it was in the past for Greece. In order not to incur a scenario, to say the least, apocalyptic, we have already glimpsed the first signs from today's Italian Government, with an obvious deployment Pro-Europe but above all with a stronger and renewed understanding with the American White House, giving the impression of being able to undermine the Franco-German axis. Following the worst case scenario for Italy, the only alternative to the suspension of the BTPs would remain the Federal Reserve, which could intervene thanks to the US President's requests to guarantee Italian issues by lowering the spread with small purchases similar to the ECB quantitative easing but , creating a casual historical record that could determine over time the exit of Italy from the euro zone and the end of the single currency. In the meantime i current accounts Italian savers would however suffer the negative consequences of a crisis announced with catastrophic scenarios due to the failure of many Italian banks. Quantitative easing was used, as an instrument of financial rescue, to give Italy wider scope and prevent its financial collapse already starting from 2012, when Germany advised to make massive and urgent reforms with great sacrifices for Italians, but, where already from the 2013 one could see impassivity in the strange financial management of the European state. It is now explained, the great race to the registrations of foreign companies in the United Kingdom and in United States of America (USA). , realization of foreign funds and opening of current accounts foreign non-nominative but corporate acts to protection of their capital even if small. Bank Loss-of-Trust - Loss of bank trust is usually the beginning of thinking about financial default and closing down your business. The possession of a current account has never been a complicated operation as long as there are no various reports to the Credit Institutions and the Central Interbank Risks. With 3 Basel have come to create multiple complications for the craftsman, the small entrepreneur and the average entrepreneur who often finds himself in difficulty with the tightening of the banking system causing him the loss of bank reliability. Usually when a bank protest happens, or you are registered to bad payers from your national banking system, desperation reigns supreme because you have lost bank reliability and you will have problems for payments, you will not have any ATMs if the bank has also closed the current account or if present in the various financial databases with foreclosures and mortgages judicial, legal or collection is thought only of entrepreneurial failure. One of the causes that drives Small and Medium Enterprises or the craftsman or the professional towards irreversible insolvency is that the banking system has no lucidity and humility to change some mechanisms that rely on the management of credit with problems causing loss of reliability banking. 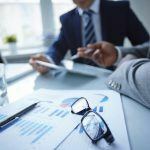 The other causes are all in the business field: management errors, evaluation errors, delayed or missed payments, delays in recognizing and countering the symptoms of the crisis lead inexorably to the loss of bank reliability. 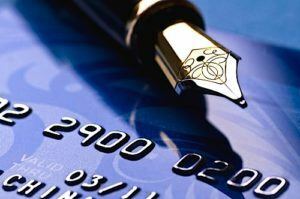 The SHADOIT BUSINESS CONSULTANCY LTD, thanks to its financial advisors, has the solution for entrepreneurs who have lost bank reliability, allowing them to continue their business using a current account with IBANN, a VISA or MasterCard debit card with IBANN and the option via internet banking to be able to receive and make payments for the good of the company and in case it is requested during the start-up phase, even to allow a pre-established date, payment of salaries or payments to suppliers with automatic transfer on several current accounts. A new perspective is presented to circumvent the loss of bank reliability, we just have to think about the future, to regain life in hand and to reorganize their work because only this will create the conditions to return to live peacefully and find the energies to resume work with greater determination. 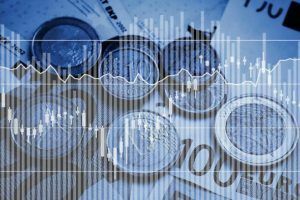 Italian Finance in the 2018 and the danger out of the Euro zone are the worry of the world markets that are undermining Italy's stability due to the political turmoil that has caused concern and triggered a strong volatility in the financial markets. 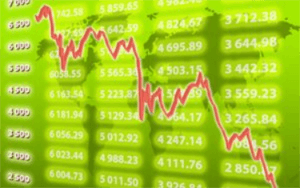 The birth of the new government occurred almost ninety days after the 4 March 2018, seemed to have stabilized a crisis destined to continue when the markets, analyzed the controversial ideas of a "government contract" that can not be defined other than points of convergence and objectives to be achieved, have made the stock markets even more erratic and more alarmed the markets themselves. Italy's financial crisis is due to an out-of-control public debt and a GDP that fails to rise to the levels of the other European partners, redefining a contraction in the demand of the markets even in the face of a government program too exhausting for the finances of a country already in a growth crisis for over a decade and with serious employment problems. The possible clashes with the European Union, among other things already happened very quietly before the birth of the new government because of budget constraints imposed by Brussels to avoid in the past the default of Italy and the troika's tense leg entry , are generating a diffidence in Italian securities and Italian finance, and seem to have not yet brought common sense in those who owe the international markets. 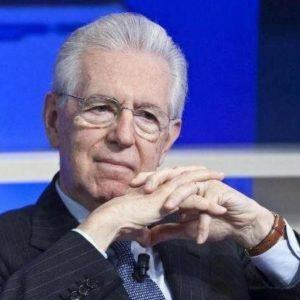 Italian finance, represented mainly by Consob, is worried by Italian companies that continue with greater conviction to reinvest abroad rather than in the national economy, highlighting a lack of confidence in the Italian system. Italy has often asked the European Union for greater flexibility and then used what has been granted in financial investments that would allow the economic recovery and the restarting of the free market. These economic concessions with the last legislature, as well as having brought bad moods towards the European Union, ended up becoming electoral maneuvers to make their fellow citizens more malleable and showing signs of irresponsibility not accepting constructive criticism and warnings coming from Brussels in interest of the Italian financial economic system. We must also admit that the new Italian government, had tried to include as Minister for Economics and Finance (MEF), one of the largest and most respected global economists such as Prof. Savona, putting in serious difficulty the President of the Republic Italian. At that juncture, many economists immediately noticed a closure of the taps by the European Central Bank, which by acting on the quantitative easing made it fall to 3,831 billions of euros in the last week, from the 5,309 billion euros of the previous week causing a surge of the spread, an instability of stock exchanges that immediately reacted to European mistrust for a future Euro-skeptic Minister. The danger that Italy could leave the Euro and automatically from the European Union, seems to be averted at the moment thanks to the efforts that the new government team has made in stating that it is not their intention to undermine the Euro but to want just re-discuss the treaties to improve Italian life expectancy. However, the mistrust of the markets remains strong due to electoral promises that are unlikely to be maintained except by making a deficit contrary to the best advice of the European Union and creating instability in payments that could lead Italy out of the Euro, putting it like countries like Venenzuela and Argentina. The analysts of SHADOIT BUSINESS CONSULTANCY LTD, remain confident that the Italian government will take a path not in deficit, but savings and consolidation of public accounts that raise Italian finance and allow a rapid economic recovery. We have to understand the big and small managers, who are tired of constant proclamations from the electoral campaign and not finding economic outlets in their country, they decide to de-localize their businesses and we must also understand how many Italian citizens, frightened by a possible exit from the Euro, decide to open current accounts abroad for secure their assets and capital. 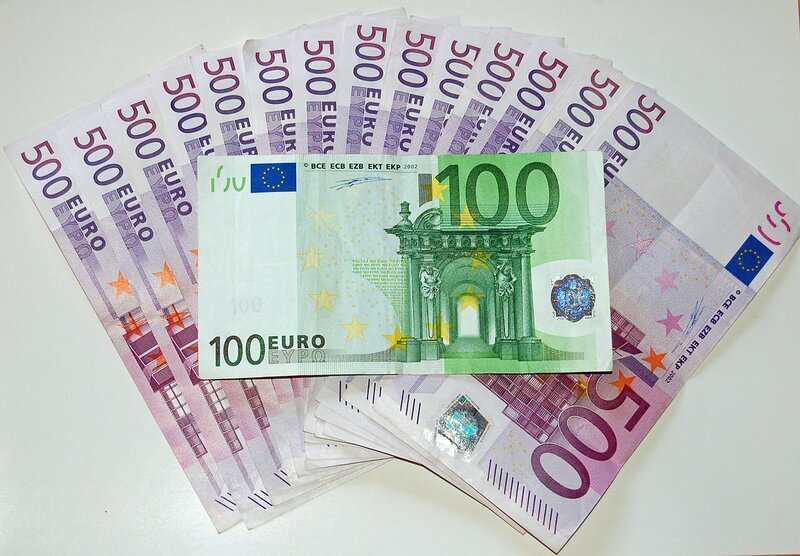 Il Bank Recovery and Resolution Directive (BRRD) is one of the latest finds on which Brussels is busily working to freeze current accounts with savingsof the European citizens and only now we understand better some of the reasons why the United Kingdom, although it had never adopted the European currency, has reluctantly decided to leave the European Union. 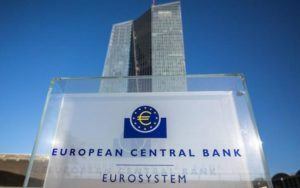 The novelty is, according to a document from the ECB (European Central Bank), that if a bank were to be on the verge of bankruptcy or in serious difficulties, the Bail In that until now has at least protected the small investors who did not reach the Euro 100.000 and were neither bondholders nor shareholders, could be overcome by having less apocalyptic tones of the "freezing of current accounts". 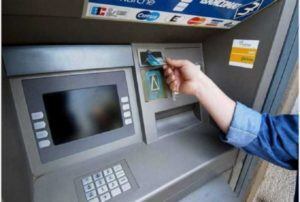 This freezing of the funds of ALL account holders, would take place in a period not exceeding five working days, limiting withdrawals at the Bank's branches, and thus preventing the current accounters from withdrawing the amount paid up to that time. 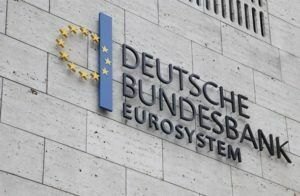 The assumption of the guarantee mechanism, is pushed by Germany, so much so that the executive director of the European Central Bank (BCE), Ms. Sabine Lautenschlaegr, in promoting this procedure, said she was amazed at how many people were so frightened. The European Central Bank (ECB), at the request of the European Council and the European Parliament, expressed its opinion on the revision of various regulations concerning the European banking crisis, documenting it (read official document), as you can read al point 5 and proposing the modification of the Directive on bank resolutions (BRRD). 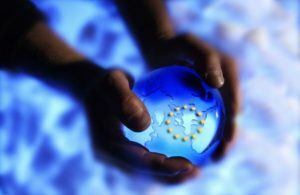 The analysts of SHADOIT BUSINESS CONSULTANCY LTD, fear that the European Union will soon be able to approve this proposal and put into the crosshairs the current accounts of European citizens, to freeze them in aid of the Banking Institutes and have elaborated a convenient solution, both for the private European citizen and for the company. The Panama Papers scandal in the 2016, put into crisis thousands of VIPs internationally linked by the law firm Mossack Fonseca of Panama. The problem that came to light was due to the fact that many had tried to evade goods and capital to the taxes of the respective States, where the simple declaration would have simply led to nothingness and the "scandal" could not have been defined. Today we find ourselves in the same situation, because another Pandora's box has been uncovered with the Paradise Papers file, putting the Panamanian financial authorities in trouble, and involving other law firms that lend themselves as financial interlocutors, we can certainly affirm that Panama where nobody goes in heaven, now perhaps many will go to purgatory. As always, the SHADOIT BUSINESS CONSULTANCY LTD shows, as a company that has been given an English regulation, to be ahead of its time and to have foreseen that sooner or later, the fight against tax evasion or tax avoidance, would have produced a problem for the global financial world, putting in difficulty thousands of people who had trusted directly Panamanian companies, without having taken the obligatory steps that would have safeguarded them by highlighting Panama where no one goes to heaven, many have often hoped to try to guarantee a certain immunity. It is not illegal to open a holding company in Panama, as it is not illegal to open company or personal offshore current accounts, where there is not an aggressive tax and an incessant witch-hunt as in some European countries and especially for a particular country. 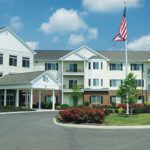 There are ten-year investment solutions that allow you to secure your assets and capital opening company in London (Limited or LTD) and then carrying out, under the expert guidance of accredited professionals in the financial world, investments long and medium term without violating any law as with Panama where nobody goes to heaven. 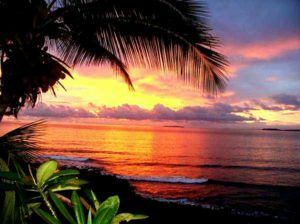 Only in a second moment, it is possible to hypothesize to open a foundation or a holding company in Panama with legal regularity, but above all in the Delaware, under the protection of a corporation or LLC company and not be accused of tax evasion or tax avoidance and be able to sleep blissful sleep. Registering a company in London, you can benefit from fair taxation and invest in mobile and real estate assets, using the Limited as a vehicle company, in the way we will explain in "structured finance", To open yourself mentally and allow you to understand transparently what it is and how you can make profits from your investments in a safe and entirely legal. So, do not be enchanted by false promises of palm trees, sea and white sandy beaches because in Panama where nobody goes to heaven, for many the reputation and their investments will be evaluated by a fiscal purgatory. Let's start by debunking the false myth of those who say that it is an illegal operation, in the same way as those who until now made you believe that opening a personal account in the European Union was both illegal and impossible. Nothing more fake! ! ! Instead, it must be said that transferring money abroad is a completely legal operation, if one acts in accordance with the laws in force and the sums of money have been obtained legally. So how to open bank accounts abroad, also offshore, require non-traceable credit cards and have their own money freely, which in many countries is no longer possible or at the very least limited and continues to pursue the road to try to subtract the private good by even contesting legitimacy of private property. If the capital of which you are in possession is provable that has been earned honestly, paying the due taxes, any amount can be transferred abroad by means of normal channels, especially banking, even if they usually resist because you are subtracting gains in transferring money to the 'abroad. 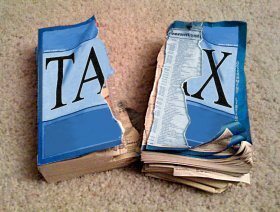 One thing should never be forgotten, namely that in the declaration of annual income, in the box RW must indicate the bank where the capital is held, the country where the bank is allocated and the average annual stock calculated at the time of the income tax return. For those who are Italian, this short rule will keep you safe from issues that could actually evoke irregular exports or concealment of your country of residence, money regularly moved out of your country's borders and who if he is wondering, a regular accountant will be able to fill in the RW picture of the Redditi PF model unless your office of the staff of the company you work for and paying you any salary on that current account. We remind you that by December 31 each year, we will need to avoid IVAFE, which is a tax on bank accounts held abroad, which for the private citizen amounts to approximately 34 Euros for each account and for financial activities to the extent of the 2 per thousand; if the amount does not exceed the 5000 Euros annually, the IVAFE for personal current accounts shall not be payable. The above information, many unscrupulous companies, in order to collect the largest number of customers certainly avoids communicating and this should already make us understand that perhaps there is no transparency. There are multiple causes that may motivate a person to transfer money belonging to them and have their own capital in a country without or with minimal currency and tax controls, and always have immediate availability to make a deal and above all allows you to put sheltering your capitals, even if they are small, from the Bail In and any default of your country's default. 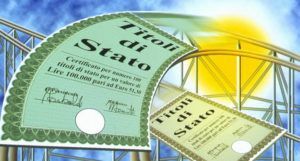 It is to be said, however, that in order to transfer money to countries considered to be "Paradises Fiscali", it is important to inform them adequately, because the rules are different from country to country, and are also sometimes determined by treaties signed by these countries with some other Nations. Money can transit abroad in an absolutely legal manner. At this point you will think, "but you of SHADOIT BUSINESS CONSULTANCY Ltd are you crazy?" Our answer is: "NO, IT'S ALL PERFECTLY LEGAL"
In almost all countries, to transfer money abroad, you can go out and enter with a sum of cash money to 9.999 euro or dollars including the money you have in your wallet, as in customs can also dispute the amounts held in the portfolios if the total leads you to exceed the figure indicated before. If the amount carried was higher, it is mandatory to declare it a lot before the customs, explaining the proven provenance with appropriate documentation often issued by your bank, in order not to incur penalties that can reach up to 50% of the excess amount. Few know that transferring to a foreign account with a simple bank transfer, even internationally, makes no limit or no statement as a result of perfect traceability in order to transfer money abroad. To transfer money abroad you can also rely on companies that deal specifically with this, such as Western Union, MoneyGram and others.